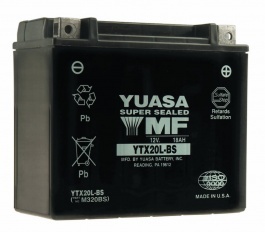 Second, here's a comprehensive listing of battery brand names and who manufactures them. Helpful if you want to figure out who made that Interstate motorcycle battery or EverStart motorcycle battery. And finally, here's an article that describes basic battery maintenance. Author: Michael Curry /// submitted on February 15, 2010 - 2:42pm. Chris Clark exiting turn 9A on his Bazzaz sponsored YZF-R6.